This year’s fall migration has been crazy! The roadways have been filled with migrating birds. Many are being hit by cars. I have never seen so many Yellow-rumped Warblers. The Warblers along with Juncos and White-throated and White-crowned Sparrows make up the bulk of the numbers. 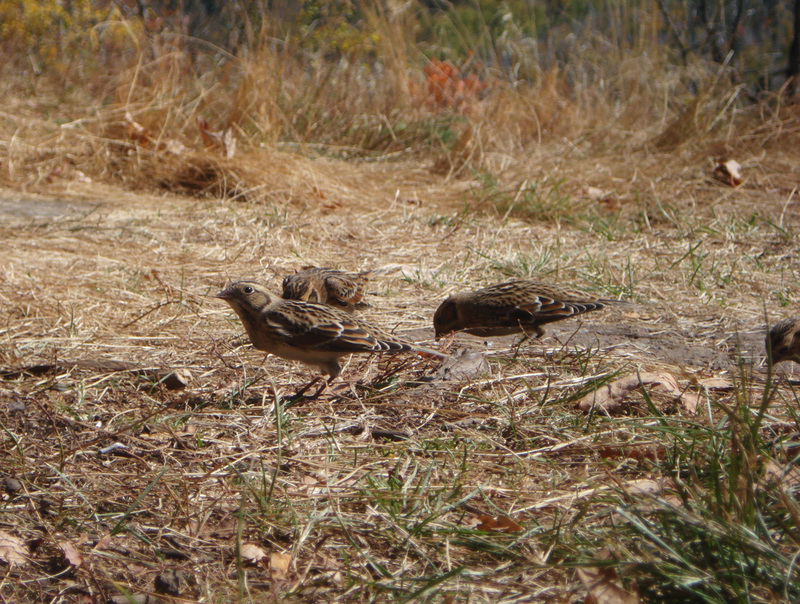 But there’s another LBB (little brown bird) that moves through in the fall, the Lapland Longspur. Look for the comma shape on the bird’s face for a good field mark. The name Lapland Longspur is interesting. It would suggest that these birds have something to do with Lapland. Lapland is a region located in northern Finland, it is the homeland of the indigenous Sami people. This bird does occur in Lapland, but also all across the polar arctic. They breed on the arctic tundra and then migrate south through out North America, Asia and Europe. There are 3 recognized sub-species. The Longspur description refers to the hind toe, which is longer and aids in scratching around in the soil. In the US, there are other Longspurs: Smith’s, McGown’s, and Chestnut-collared.